The winter holidays are upon us and times are still tough for many folks out there. Our Quick and Easy Decoupage eBook offers great solutions for updating items you might easily find around your house. You can convert those old home decor items into gifts to give to others, or you can spruce them up for the holidays and give you house a new sense of warmth and holiday cheer. The project in the free eBook, Quick and Easy Candle Holder Update, offers a great solution for updating and revamping a candle holder for yourself or for a gift. Everyone loves candles–particularly around the holidays. Or, if you find yourself cooking a lot during the holiday season, why not treat yourself by updating your recipe box? You can turn a drab box into a colorful container with the eBook project, Recipe Box Redo. For other great re-gifting and up-lifting ideas, check out our Quick and Easy Decoupage eBook today! The free eBook includes a helpful basics section, which shows you how to use Mod Podge, as well as 12 amazing projects, from canisters, to a clock, to a bookcase. The FREE download-able Quick and Easy Decoupage eBook will inspire you to do great things with Mod Podge! The holidays can be a stressful time. Nothing is more stressful than a visit to the mall in the height of shopping season. Good thing you’re a crafter because you can make wonderful, creative gifts from the comfort of your own home. Handmade gifts are always more special to receive anyways! From FaveCrafts and Brother Sewing and Embroidery Machines, here are two new eBooks you can download for FREE. 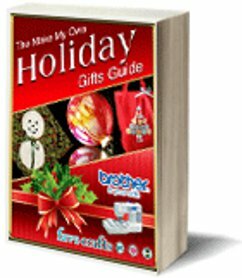 The Make My Own Holiday Gifts Guide eBook is full of great crafting ideas for Christmas. You’ll find 12 easy Christmas crafts for holiday gifts to make this season. Find sewn Christmas gifts, Christmas ornament crafts and homemade Christmas decorations. 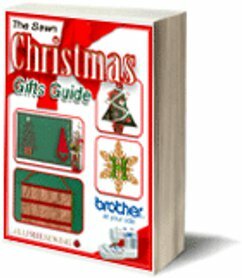 In The Sewn Christmas Gifts Guide eBook you’ll find original ideas for the sewer. Create a project like the Fabric Advent Calendar to give the gift of tasteful Christmas decor. Check out these 12 projects and you’ll be on your way to creating one-of-a-kind presents for loved ones. When you think of snowmen, what comes to mind? Do you think of winter? The holidays? Christmas morning? Snowmen are the eternal symbol of everyone’s favorite part of winter. And the best part is, they are completely non-denominational, so everyone can enjoy them equally. My mom collects snowmen. You know it’s the holiday season when she starts to get out her snowmen sculptures and scatter them around the house. In fact, one year I got her a special snowman with from my university’s bookstore. Needless to say, she really liked the gift and it was displayed in our house. FaveCrafts has some great options for all kinds of snowmen-related projects. To jazz up your look, why not try the Beaded Snowman Denim Vest? It’s a great way to show your holiday spirit wherever you go. Or you can make your Christmas morning a little bit brighter with a Believe Snowman Christmas Ornament and a Christmas Snowman Stocking. Both of these items are pretty easy to make and are very inexpensive to produce. Why go out into the cold to find Christmas decorations when they can come from the heart (and be made from the comfort of your own home)? Spread holiday cheer to those around you with some simple and fun holiday crafts! The Brrr It’s Cold Hanging Snowman can be hung throughout a house or even on your front door. Holiday parties are one of the best parts of the season. Keep your special drink cool with a Bright Snowman Can Cozy. If you’re heading out to someone else’s party, why not give the ghost a little holiday cheer with a Crochet Snowman Family. This adorable gift is sure to be a crowd-pleaser. Need a cute way to display all of those holiday cards? Make a Decorative Snowman Cardholder! And if you’re looking for a quick and easy ornament option, this project is for you. The name says it all for the Easy Snowman Ornament. It’s cute and adds personality to any tree. For more even more crafting ideas, check out 101 Easy Christmas House Crafts. What reminds you most of the holiday season? Still looking for more craft ideas? Here are some great ideas for snowmen crafts from bloggers! There is a very small window during fall when the leaves are changing and glowing in vibrant hues of red, gold and orange. It’s only a matter of weeks before the the tree branches turn bare and the cast-off leaves on the ground crumple and brown. Natural elements such as leaves, pine cones, and twigs are a great source of artistic beauty and fun for planning fall crafts for kids. 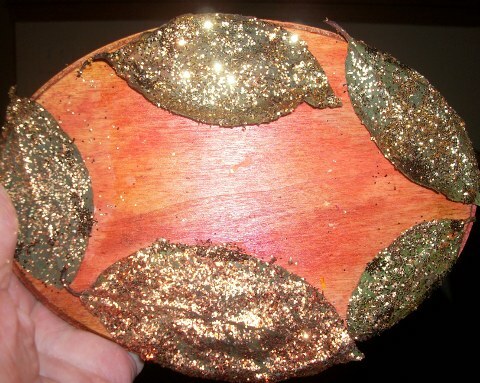 FaveCrafts offers a glittery leaf project that can be used throughout the fall season as a decorative wall hanging. The Decorative Fall Plaque project simply requires some paint, glitter, and real leaves from your backyard. Lana’s blog called I Love My Five Kids offers another decorative solution with leaves, pine cones and other natural items. In her Fall Crafts For Kids Easy And Free Guest Post she explains that with rocks, sticks, leaves, pine cones and other objects found in nature, along with tacky glue and wiggly eyes, your children can glue together animals and creatures. 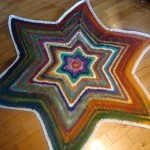 On her blog called Single Mom Blogs, Heather Prinz describes her Fall Color String of Leaves project. She suggests taking a basket and going outside with your kids to gather leaves. In addition, you will need yarn and glue. Then, you can simply tie the leaf stems to the yarn and seal the knots with glue. To learn more about the easy fall craft, check out her blog! In addition, she offers tips for other projects such as Apple Candle Holders, Nature Inspired Shirts, and Painted Gourds. FaveCrafts offers a delightful project in which pine cones can be converted into little ballerinas. Pine Cone Glitter Ballerinas are environmentally friendly and can be made using pine cones and lots of glitter. Your ballerinas can be embellished with crepe paper, party hats, crowns, tinsel garland and small pompoms. In her blog called Life Together, Growing In Faith & Love, Meg shows how to make cute fall crafts from materials that can be found around the house. With her project,Fly Black Bird, Meg describes how a toilet paper roll, black paint, buttons, felt, and wiggly eyes can come together to create a kid-friendly black bird. Meg also shows how a hand print can be used to create a colorful tree in her project called Hand Print Tree. She explains that you simply paint yours or your child’s arm and hand with washable paint, press it onto paper, and use your fingertips to make multi-colored leaves. It’s finger painting with a seasonal touch! In her blog called The Honorable Mention, Barbra Stephens shows how to make yarn pumpkins and apples. The project, Simple Yarn Kid Crafts For Fall, is easy enough for preschoolers! All you need are scissors, yarn and pipe cleaners. 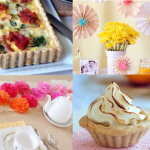 If you want to see more craft ideas for any season, check out the FaveCrafts site. You also can post photos of your work on FaveCraft’s Facebook page. Growing up, Thanksgiving was always my favorite holiday. Fall was my favorite season. And raking leaves was my least favorite chore (actually, all of these things still ring true). Looking back though, I realize that I vividly remember Thanksgiving dinner not only because of grandma’s sweet potatoes, but also because of how festive her house looked and felt. The holiday dinner was special because she added her own homemade touches to everything. To make Fall entertaining even more memorable, why not show off your trendy, creative taste by making the table look as great as the food? For thanksgiving, create your own placemats that will highlight Fall colors and add to the holiday decor. You’ll definitely impress your guests with these wonderful homemade placemats. 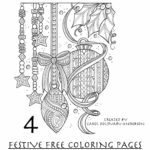 This Sunday’s newsletter features adorable Christmas crafts, perfect for gifts or decorations. Since everyone loves cute Christmas gifts, I thought it would be nice to give you a few more ideas that you can use for presents, decorations or just for fun! These ornaments will make any Christmas tree look super adorable. If you already have enough decorations for your tree, package them in a gift bag and give them away as presents or holiday party favors. Be reminded of nature’s beauty every time you gaze at your cute Festive Bird Ornament dangling from the tree. These little guys are also perfect to hang from the mantel next to the holiday stockings. This Christmas craft is designed to be used as an ornament, but alternatively I think they’d make cute silverware holders. Wouldn’t these look wonderful on the table next to the holiday meal? Do you have any favorite Christmas crafts? I noticed that there are a lot of pumpkins and gourds for sale at the farmer’s market lately. This could only mean one thing – it’s time for Halloween! Besides getting your costume ready, another important part of the holiday is preparing Halloween decorations. Do you know how you’re going to decorate? Decorating is an easy thing to stress over, but it doesn’t have to be stressful. Making Halloween decorations should be fun and rewarding once you’re able to see the ghoulishness of your completed work. Ready to start? Let’s get spooky! 1. Pick a Theme. I’ve seen a lot of houses that go over-the-top with their Halloween decorations. What you want is for the house and yard to be genuinely scary. If your yard has more fake blood than Lady Gaga’s stage performance of Paparazzi, it’s a little much. This is why I suggest choosing a basic theme. Once you have a theme, it will be easier to decide how many types of decorations you’ll need. Perhaps you theme could be spooky graveyard, haunted cornfield, a ghost town – whatever you decide, selecting a theme will help you focus your decorating energies efficiently. 3. Make Halloween Decorations. This is the fun part where you actually get to create! Before you start making each project, have a rough idea of what you want the finished result to look like. Start with the house first, then decorate the yard. Whatever theme you decide to execute, remember that less is always more. You don’t need 50 hanging spiders, 30 scary ghosts and 100 gravestones in your yard to make people’s skin crawl. For an easy way to decorate, don’t underestimate the power of pumpkins. Whether they are carved with giant spiders or simply plain, pumpkins add a nice touch of Halloween to wherever they are placed. To inspire your decorating endeavors, read the 31 Halloween Crafts eBook for ways to spook up your décor. How do you plan to decorate this Halloween? With only three weeks left until our wedding, my fiance and I have been trying to finish up all of our last-minute, DIY projects. Both of us love worn, aged and vintage-esque décor, but we don’t have enough cash to drop on real antiques. By making new items looked distressed we can save money, achieve the look we want and have fun in the process! Both of us are new to distressing techniques, but we’re happy with what we’ve done so far. For all you people who are new to distressing techniques like we were, here’s our easy DIY project for making vintage name tags. We’re using these tags for wedding favors, but they also make great gift tags for Christmas, birthdays or other special occasions. 1. Set up your craft mat and set out your plain white tags. I got mine from Hobby Lobby, but shipping tags also work depending on how big you want your tags to be. 2. Take your tag and crumple it using your hands. Bend and fold the tag until crease marks appear. Any creases you make will be picked up by the distress ink later on. 3. Once you have your tag crumpled to your liking, gently pull the tag straight so it lays nearly flat. It’s okay if it’s not completely straight, this will help it look aged. 5. Once the tag is completely dry, use the blending tool to smudge the Vintage Photo Distress Ink around the edges of the tag. This will achieve a nice burned effect. Repeat and blend out until desired effect is reached. 7. After that ink dries, use a plastic label maker to punch out the appropriate name and affix it to the tag. 8. Thread burlap twine through the tag. 9. Enjoy your vintage gift tag! Now you can tie them to whatever you wish. Have you ever made any DIY projects that were vintage inspired? I love the look of mixed media art because it incorporates many different materials. For a person like me who can never decide what embellishments to use in a project, mixed media art is a great niche to get into. If you’re a bit scatterbrained like me, or you just like to use a variety of materials in your crafts, try mixed media art to express your creativity to its fullest. Think of mixed media art like a salad of the crafting industry — it includes a little bit of everything. From buttons to scraps of paper and tin foil, mixed media art encourages you to combine several textures to make a delicious — or in this case beautiful — result. So how do you make mixed media art? That depends on the type of look you’re going for! Personally, I love to make mixed media journal covers and wall hangings. Here are a few ideas to get you started and inspired. There are a lot of awesome journal covers and pages out there that utilize mixed media art. Depending on the vibe you want your creation to have, there are projects that use heaping amounts of modeling paste for texture, and others that simply layer bits and scraps together for a lighter, delicate look. Here is one of my favorite journal cover projects from FaveCrafts. This project uses Excel Mat Board and clean cut pieces for a refined look. If you want a more edgy looking journal, try layering more rugged-shaped objects to a page. These make great wall hangings when they’re completed. Here’s a quick step-by-step guide for making a journal wall hanging. Figure out what you items you’d like to include in your collage and set them aside. These items can be whatever you like, but the best ones are those that have some kind of symbolic or personal meaning. When I made my first mixed media page, I included train tickets that my fiance and I used when we visited London together. If you plan on painting your canvas first, use Gesso to prep it. This will help the paint to stick. If you want to use an stamp pad to color the canvas, Gesso isn’t necessary. Paint the canvas until desired color is achieved. If using a stamp pad, take a make-up sponge and smudge it in the pad to cover it with ink. Make sure to blot the sponge on a piece of scrap paper to get rid of any access ink that could smear the canvas. Cover the canvas with ink until the desired effect is achieved. Decide what items you want to glue onto your colored canvas and arrange them accordingly. Glue in place. Write down your favorite quote, thought or memory on pieces of scrap paper and paste them onto your canvas. Or if you wish, leave our any writing — it’s your piece of art! Once you’re happy with the layout and textures, just let it dry and enjoy! For a simple wall hanging idea, check out this video that explains a simple way to achieve the mixed media look by using a hot glue gun, foil and spray paint. Have you ever made mixed media art projects? How did they turn out? I really can’t believe how fast the summer is going. Since it’s already nearing the end of August, that means Labor Day is quickly approaching. This year, Labor Day is Sept. 6. In case you’re counting, that’s only 19 days away! Since Labor Day is meant to appreciate American workers, there’s no excuse not to celebrate. In honor of Labor Day, here are some great patriotic crafts that will help with the festivities. The first thing you have to worry about decorating for the celebration, is the table. Chances are you’re planning to have a few people over for a meal. In this case, it’s nice to have a little patriotic decor. This holiday centerpiece is a great way to bring some red, white and blue onto the table without being over the top. For a little more patriotic crafts with some flair, this All American Tin would make a lovely addition to the table. Use it to display cookies, or to hold the dinner rolls. If you’re like my family, you’re planning a huge cook-out in the backyard. Weather permitting, the family grill usually receives a lot of love on Labor Day. Naturally, you’ll need a few things to help prepare that delicious Labor Day meal (besides the hot dogs). If you’re the lucky enough to be the chef for the big day, you can’t go wrong with this patriotic apron. Once Labor Day passes, save the apron for next year or for the Fourth of July! Now that you’ve got your apron, you need the proper grilling tools. These Beaded Barbeque Skewers are perfect for a Labor Day celebration. They not only look festive, but they’ll also help keep your shish kabobs together. Yummy! No matter if your celebration is taking place indoors or outside on a patio, it’s nice to have some lights up for decoration. These lights are super easy to make and turn any room or yard into the perfect party space. Now, the most important step – have fun! What are you doing to celebrate Labor Day this year?